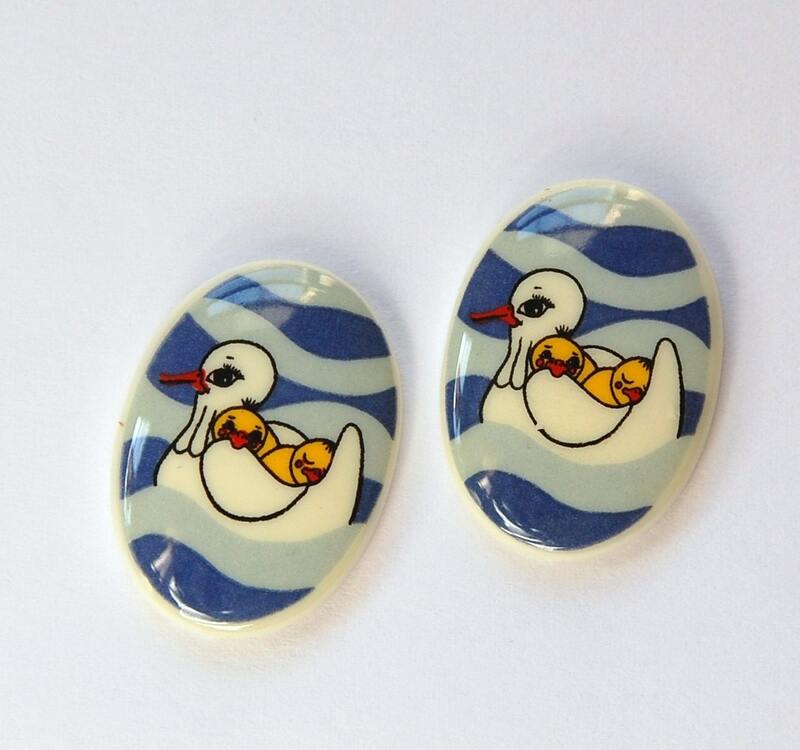 These are vintage acrylic cabochons that were made in Western Germany. They feature a mom her baby seagulls. These measure 25mm x 18mm. You will receive 2 pieces. What else can I say...but adorable. I love the clarity and beauty of these. Fast ship. Thanks for the tracking data. Will save in favorites as buy again!